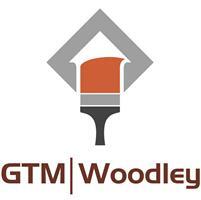 GTM Woodley - Home Improvements, Painter/Decorator based in Woodley, Berkshire. We are a Reading based Painting and Decorating company run by two experienced painter and decorators. Who offer a very friendly and professional service from start to finish. We have all the experience and know-how you will need to confidently complete your project whether it be commercial or domestic. We have been operating in the South East and London for over 11 years now obtaining commercial decorating and property maintenance contracts for various councils, local primary schools, colleges and numerous offices and shopping centers as well as leaving 100's of domestic clients satisfied with a job well done.